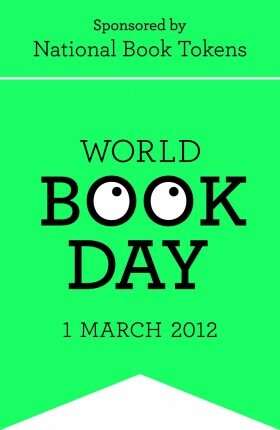 World Book Day 2012: What are you doing? Happy World Book Day, all! Are you doing anything special? Dressing up? Raising money for BookAid? Emailing your favourite author to say ‘thank you for doing what you do’? Donating books to your local library? If you feel like attending a World Book Day event, Waterstones has a handy list here and the official World Book Day site has one, too. Speaking of Waterstones, if you’re passing one, do snaffle yourself a copy of Maureen Johnson’s fabulous The Name of the Star. I blethered about it here, but now (thanks to a special World Book Day promotion) you can nab a copy for a quid. That’s right: one shiny pound. Alternatively, celebrate Sarah-style and stay indoors, make a cup of tea, and READ. Huzzah. I celebrated by finishing China Mieville’s mammoth epic ‘Perdido Street Station’. If you haven’t read it, read it. If you have read it, you know why I am saying ‘read it if you haven’t read it’. I’ve downloaded the sample onto my beloved Kindle and I’ll let you know how I get on!